We can help determine what type of pruning is necessary to maintain or improve the health, appearance and safety of your trees. Specific types of pruning may be necessary to maintain a mature tree in a healthy, safe, and attractive condition. Crown thinning is the selective removal of branches to increase light penetration and air circulation. Without removing heavy limbs and without compromising the tree’s natural shape. Crown lifting removes the lower branches from a tree in order to provide clearance for buildings, vehicles, pedestrians. 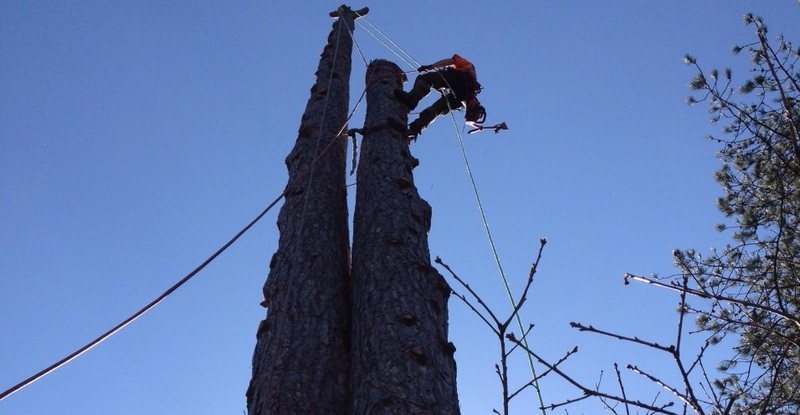 Although tree removal is a last resort, there are circumstances when it is necessary. 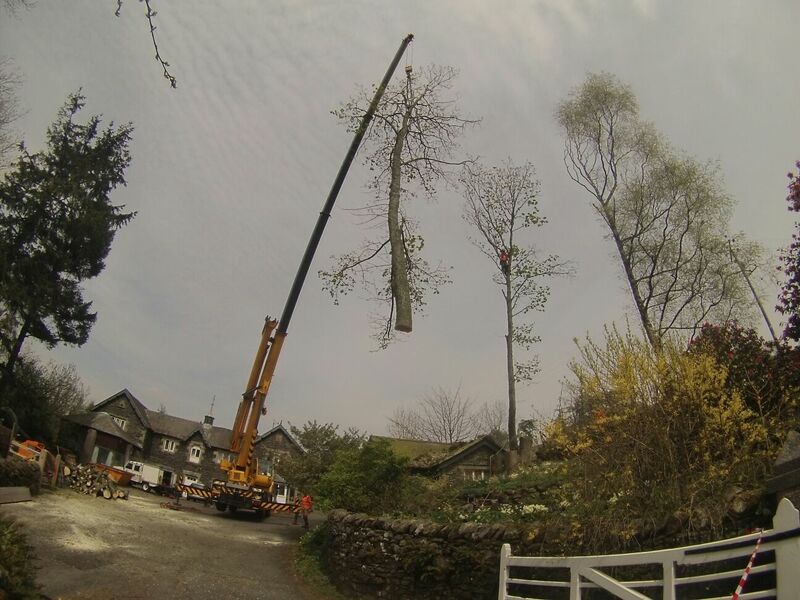 We can help decide whether or not a tree should be removed and have the skills and equipment for safe and efficient dismantling. The tree is crowding and causing damage to other trees. The tree must be removed to allow for new construction. Stump Removal: Should you require removal of the stump to stop unwanted regrowth or to re- plant in the same area, we can offer the removal of any size stump. Storms may cause limbs or entire trees to fail, often landing on homes, cars, other structures, or other trees. The weight of storm-damaged trees is great and they can be very dangerous to remove or prune. We can assist in performing the job in a safe manner, while reducing further risk of damage to your property. The days of burning waste wood have gone due to legislation and health & safety regulations in urban areas. Removal of waste to landfill sites is expensive and an improper use of our land resources. Therefore all waste wood is chipped on site using our Forst TR6 tracked diesel woodchipper. We insist on using only the best woodchippers, which helps us remain quick and efficient, yet the machine is compact enough to get access to most properties. Using cared for machinery reduces the possibility of breakdowns and wasted time. Our woodchipper can access most garden gateways so to reduce time spent on the job and saving the client money. Our woodchipper can produce varying sizes of woodchip, making it an environmentally sound option for play areas; paths; borders and equestrian use. NB Use on public playgrounds is restricted and may require a British Standard product.